Somehow the year is half way over already. I was looking at my 2017 reading goals last week and wow, my progress has been terrible. Thankfully I'm ahead of my Goodreads challenge. I've read no non-fiction and my pre-2017 TBR remains unread although I am currently reading Dan Simmons' Summer of Night from my shelves, and I'm about to reread IT which will count, too. 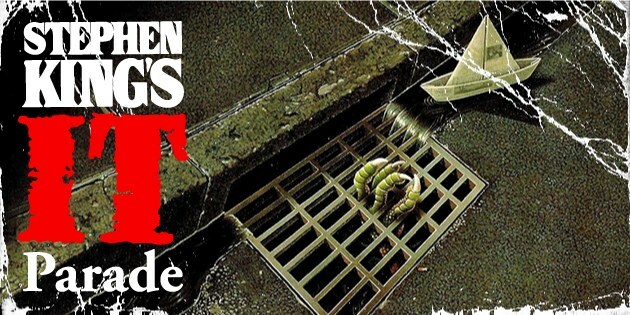 If you've been thinking about reading Stephen King's IT before the movie comes out, author Daniel Kraus is doing a 10 week readalong/discussion over at The Booklist Reader. A lot of folks are planning to join in. It should be pretty awesome. Check it out and join us. After reading No Mercy I needed a palate cleanser. Edith Wharton's Summer did just the trick. BEHOLD! 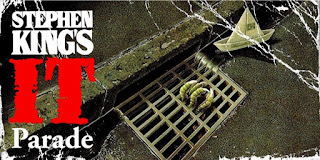 Oddities, Curiosities and Undefinable Wonders edited by Doug Murano - This list of writers says it all: Clive Barker, John Langan, Neil Gaiman, Ramsey Campbell, Lisa Morton, Brian Kirk, Hal Bodner, Stephanie M. Wytovich, Erinn Kemper, John F.D. Taff, Patrick Freivald, Lucy Snyder, Brian Hodge, Kristi DeMeester, Christopher Coake, Sarah Read, and Richard Thomas. With a foreword by Josh Malerman. 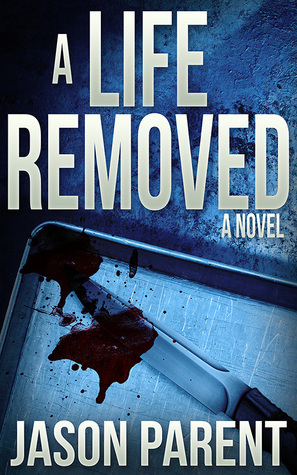 A Life Removed by Jason Parent - I've had my eye on Jason Parent's books for a while now, and I'm excited to finally check one out. He's traditionally a horror writer, but this one looks more like a crime thriller. 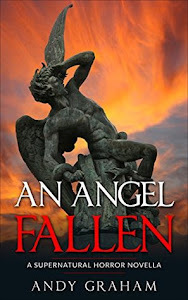 An Angel Fallen by Andy Graham - Sometimes a book simply has me at "horror novella". Seriously, I dropped everything last week for GLOW. It's on Netflix, and it's incredible. Thanks, Geybie! It's a really great group of authors. Glow was awesome. I enjoyed it a lot more than I thought I would. Great haul of books this week. I'm so glad you loved Glow, too! My husband just finished watching Glow and had high praise for it. I am glad you enjoyed it too! I am watching Supernatural whenever I get the chance. I re-watched the first 6 seasons and am now in new territory with season 7. BEHOLD! looks like it could be a lot of fun. I hope you enjoy your new books. You've reminded me of the Dan Simmons's books I have sitting on my shelf to read still. Terror and Drood. Have a great weekend and an even better week! Wow, you are doing a Supernatural rewatch? I would love to do that. I haven't seen the last season yet. I don't think it's made its way onto Netflix. I haven't read Terror or Drood yet. I think the only other Simmons book I've read is Song of Kali. I will eventually make my way through them. I'm loving Summer of Night. Great set of books you got this week and I got to check out Glow! I hope you get to check out Glow. It is worth the watch! Ooo, thanks for the IT tip. Gonna do it too :-) Happy reading. Yay!! I think it's going to be a really great readalong! I'm curious about Glow. I'm sure I'll check it out soon as I just finished Riverdale. I loved it. I've been wanting to re-read IT so maybe I'll check out that readalong. Sounds interesting. Some great review books here. OK, I don't know anything about Riverdale so I'm going to have to look that one up. I'll probably talk about the readalong while it's going on. It will probably still be a lot of fun to check in on even without doing the reread. Yeah I'm not sure why it's July already. Seems unnecessary. Oh well. And I have no idea what GLOW is but I keep seeing it pop up, so I'll have to take a look. 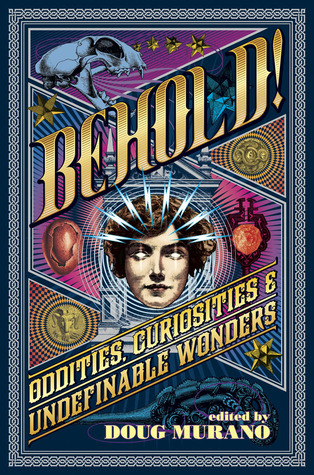 This is the first I've heard of BEHOLD! Wow, I am in awe of that author lineup! The idea of a readalong/discussion series is really interesting! Also, I am with you--- I can't believe we are seven months into the year already! Where has this year gone? It's been a while since I've done a readalong. They can be really great if the host is doing a lot of participation. Seriously, where has the year gone? Seems like I just got my son out of school for the year and I'm already seeing back-to-school displays everywhere I go. I'm not doing too well on my TBR goals for the year either. I'm about to issue myself a summer challenge to try to get back on track so fingers crossed that works for me. Reading IT might be fun. If I wasn't so busy I'd join you guys. It doesn't help that It is a huge book. Thankfully we'll be reading it for 10 weeks. I saw Behold, Odditities.. last week because OMG, that cover is amazing and so eye catching! But I didn't see that it was a collection of stories. And with Neil Gaiman :) Awesome!!! You're so brave to read Skitter... not me!! And I saw Glow somewhere but I have no clue what it's about. If it's 80's, I might have to looky-loo!!!! It's an excellent lineup. I'll be sure to let you guys know what I think of it. Haha... Skitter is a lot of fun, but I can see why you'd be afraid to go near that one. Definitely check out out Glow! Summer of Night is one of my favorite Dan Simmons books, I'll be curious to hear your thoughts on it! Oh, Tammy. I love it so far! It's going to take me a while to get through it since it's a chunky read and I have a few others going at the same time. It's been awhile since I did a reread of It and I've thought about doing the audio. Maurno's book looks really good. Enjoy your new lovelies and good luck meeting those goals. This will be my first It reread. I'm really looking forward to it! Nice looking assortment of books. All are new to me. Come see my week here. Happy reading! I may try to work in It this summer. I recently bought the audio of the book but haven't started it yet...it is so long! I hope you enjoy your new books! IT is huge! I hear the audio is good, though. I hope you get to join in! How awesome that your ahead in your Goodreads challenge. I had to adjust mine because I set the goal way to high this year. I usually get behind my challenge in the summer and then I have to play catch up in the fall. Hopefully I can stay ahead of it this year! OMG I loved GLOW too! We totally binged on it. I am hoping to reread IT before it comes out. It's been a while since I read it last. Summer looks good too. I haven't read that, and I am next in line to pick our book club book. I think I am going to suggest that one as an option! We totally binged it, too! 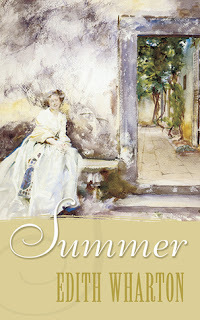 You know, Summer isn't necessarily the best book, but I think it would make an awesome book club read!! If you guys pick it, please let me know how it goes!! July! Sigh! Glad you had a palate cleanser read, it is great that we can do that so that we keep ourselves out of slumps or scare away the previous book. That is awesome! Your kids are having a great summer. Good luck with your move! I was freaking out about it being March just the other day, right? How on EARTH did we get to July already! Unfortunately I'm behind on all reading goals - this year has just not been a year full of reading or blogging time! It's great that you are ahead though! Di!! That is my distraction right now, too. Wimbledon is my super bowl. I'm so disappointed with the players' conduct this year. :( Oh, well, bring on the tennis! Not sure if you joined a new release challenge, but you would've done great with that if you haven't read any books for before 2017. I've been reading a lot of new released as well this year. That's great you're doing well with your goodreads challenge!